The SAISD Foundation raises funds to invest in the great ideas of teachers and educators in San Antonio ISD (SAISD) and replicate the programs that demonstrate success. This video highlights the dynamic and growing arts partnership with S.M.A.R.T. that the SAISD Foundation has supported at Briscoe Elementary for the past three years. Through the support of private funders and our own District employees, the Foundation is supporting arts programming through teachers and art partners at the elementary, middle school, and high school levels. The SAISD Foundation supports a wide range of Fine Arts programming. For the 2016-2017 school year, those programs include Shakespeare Theater at Hawthorne Academy, ukeleles at Madison Elementary, and percussion instruments to start a new jazz band at Rhodes Middle School. The Foundation is also supporting a number of photography and art clubs at the elementary level. 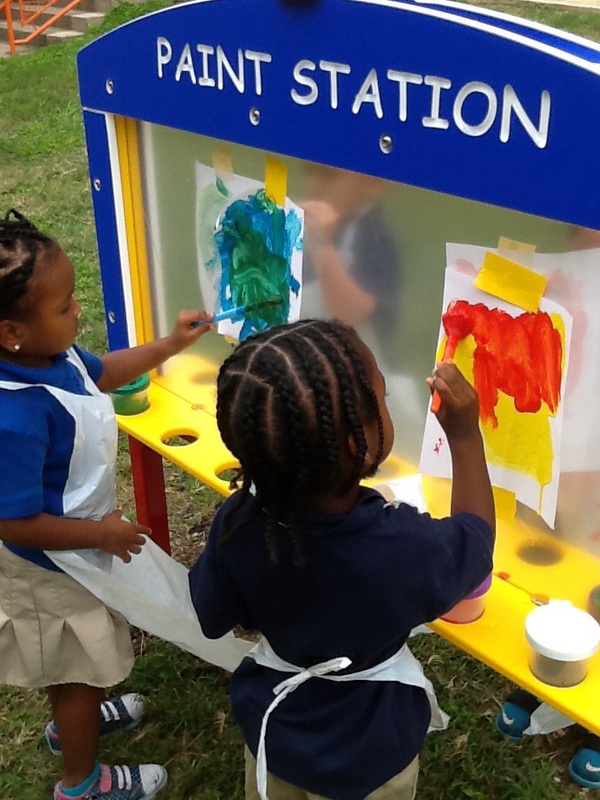 The paint station pictured below was part of a larger grant from the Harvey E. Najim Family Foundation to bring more hands-on, creative stations to the outdoor spaces of our four early childhood centers. These students are from Tynan ECEC. 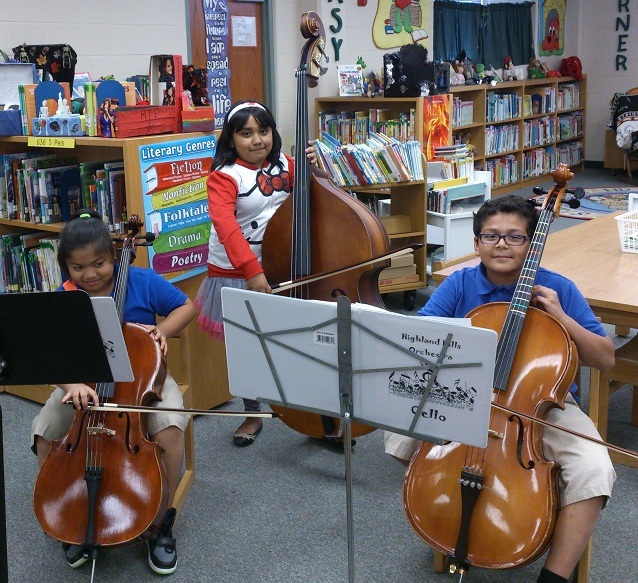 For the 2016-2017 school year, in partnership with the Charity Ball Association, the SAISD Foundation is supporting the expansion of elementary strings to eight SAISD campuses. Pictured below is the first elementary strings Innovative Grant at Highland Hills Elementary. The success of this program has led to this expansion.